Hunting down good libraries can be a pretty tedious chore for developers. Sometimes we know what we want, but can't find the right keywords for a search. Other times we're already familiar with one option but want to find alternatives that might work better for our project. And sometimes, we just need a little inspiration. 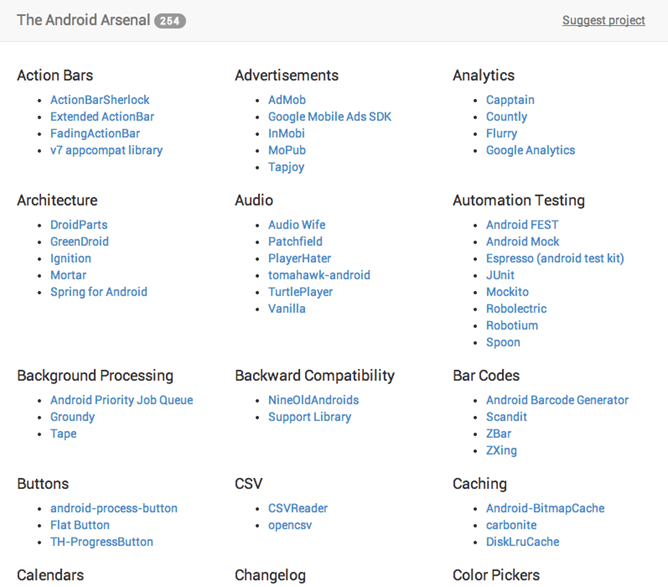 Take a look at The Android Arsenal, a large categorized directory of Android-oriented projects that can go a long way toward speeding up your development. Android Arsenal is only a few days old and it's already up to 254 links (at the time of this writing). Most of the libraries are open source projects hosted on Github or Google Project Hosting, but there are a few paid and closed source outliers. 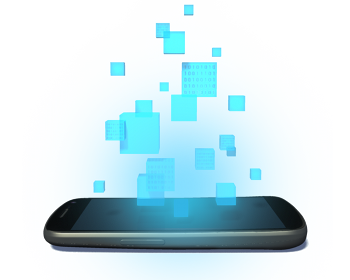 The list is pretty varied, including a fairly even split of user interface controls, libraries for processing different types of data and protocols, and tools for different stages of app design and development. If you notice a project missing from the list, the author encourages submissions by forking the original project on Github and sending a pull request with the update. Alright, your break is over. Get back to coding!